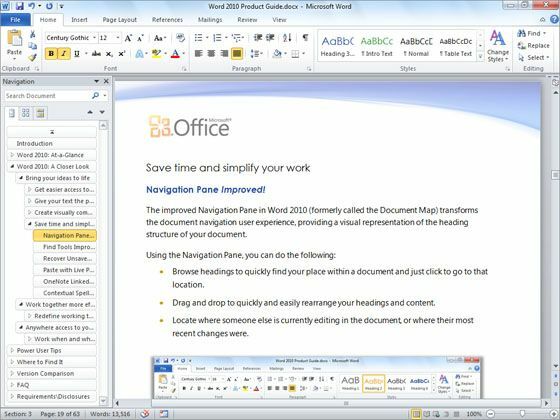 Microsoft Office 2010 Express your ideas more visually, Office 2010 opens up a world of design options to help you give life to your ideas. The new and improved picture formatting tools such as color saturation and artistic effects let you transform your document visuals into a work of art. Combined with a wide range of new prebuilt Office themes and SmartArt graphic layouts, Office 2010 gives you more ways to make your ideas stick. 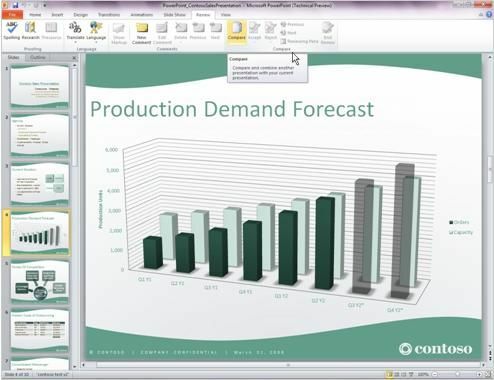 Check out PowerPoint 2013 and Word 2013. 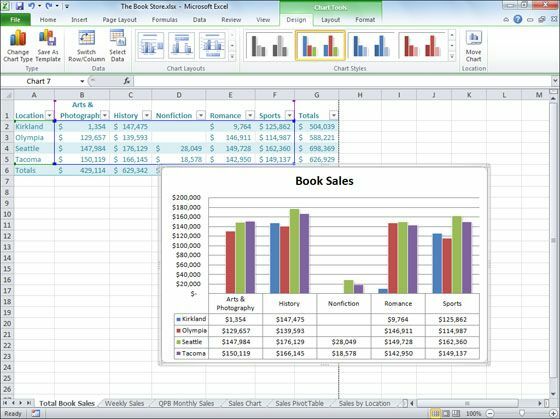 Track and highlight important trends with new data analysis and visualization features in Excel 2010. The new Sparklines feature delivers a clear and compact visual representation of your data with small charts within worksheet cells. Filter and segment your PivotTable data in multiple layers using Slicers to spend more time analyzing and less time formatting. 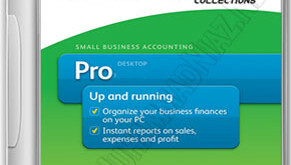 See Excel 2010 in action. With Outlook 2010 you can compress your long e-mail threads into a few conversations that can be categorized, filed, ignored, or cleaned up. The new Quick Steps feature let you perform multi-command tasks, such as reply and delete an e-mail in a single click, saving you time and inbox space. 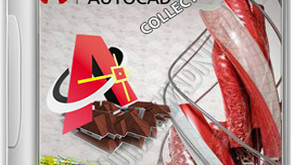 See Outlook 2010 in action. Enjoy the freedom of using Office 2010 from more locations on more devices. When you use Office 2010, you’re getting the familiar and intuitive Office experience across PCs, Smartphones, and Web browsers on the go. see also Office 2016.